Five of the top Luxury Ski Resorts Around the World. For many people, skiing holidays provide the perfect balance of adrenaline filled days, picturesque scenery and the opportunity to relax and unwind. Of course, there are destinations worldwide which cater for skiers with varied interests, priorities and budgets. Here are five suggestions for luxury ski resorts around the world. Courchevel 1850 is regarded by many as the world’s best ski resort. It offers immaculate pistes, beautiful scenery and brilliantly interlinked skiing which accommodates both beginners and more experienced skiers. The maintenance of the slopes is second to none, with two thirds of the total piste area being groomed every evening. Interestingly, the snow-making systems at Courchevel are very impressive and 35% of the skiable terrain is covered with man-made snow. It’s not just the excellent skiing conditions which attract visitors to this resort though. It has an international reputation with jet-setters who flock to Courchevel to enjoy the chic boutiques, upmarket bars and restaurants and shockingly expensive chalets. St. Anton is located in the centre of the Arlberg Ski-Circus and attracts enthusiastic skiers from all over the world. The ski area itself is massive, covering St. Anton’s own mountains as well as the nearby villages of St. Christoph, Lech and Zurs. The little town has a truly cosy and welcoming atmosphere, and despite the resort offering all the comforts and luxuries of an international holiday destination, its traditional Tyrolean hospitality is what attracts many ski fans year after year. It also offers some of the most challenging pistes in Austria and it is one area of the Alps where snow is an almost certainty. As you might expect from a luxury ski resort, it has an abundance of shopping opportunities and a cosmopolitan night life scene. The luxury resort of Zermatt in Switzerland is a popular choice with ski fans who are looking for stunning scenery, an impressive snow record and an abundance of night life options. It has recently benefited from an upgrade to its lift system which means that whilst the resort may be steeped in history, its facilities rival any other luxury ski destination. Arriving in Zermatt is a breathtaking experience in itself, as it’s a magical world of horse-drawn sleighs, fabulous luxury hotels and boasts 38 4000m peaks. The Italians certainly know a thing or two about luxury, and therefore it’s no surprise that Italy offers some fabulous choices for the more discerning skier. 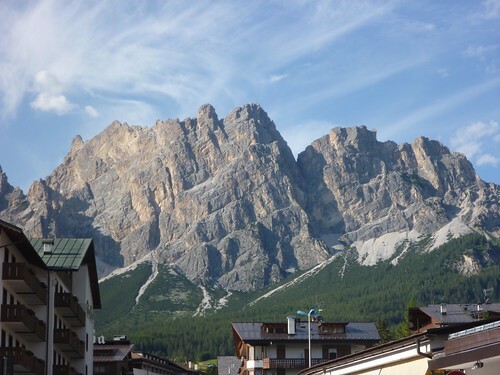 Cortina D’Ampezzo offers around 90 miles of ski slopes spread over four main areas, though the destination is so beautiful that it also attracts many non-skiers who want to take advantage of the designer boutiques, antique shops and fantastic array of eateries. Cortina D’Ampezzo even has a Michelin-starred restaurant, Tivoli, as well as several others with an excellent international reputation. In 2001 and 2005, Deer Valley was awarded the prestigious title of the number 1 ski resort in North America by readers of Ski Gear. There are four mountains in the area which offer varied terrain and cater for skiers of all experience levels. The resort offers gourmet food, impeccable service and spectacular hotels. It’s no surprise that it was this destination which revolutionised the ski industry by combining the luxury of exclusive holiday destinations with excellent skiing conditions. Image Credits: guymoll and grongar.